Did you know America’s first gold rush began in Georgia, not California? Twenty years before the famous 1849 discovery, thousands of prospectors flocked into north Georgia searching for treasure. Step back in time to our nation’s first gold rush with Fox 5 TV. “Good Day Atlanta” host Paul Milliken recently toured the newly renovated Dahlonega Gold Museum located in the old Lumpkin County Courthouse. This historic site is open daily and makes a great day trip, surrounded by restaurants, shops and local history. Love a challenge? Ask about their escape rooms. 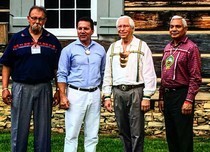 Last month, leaders and members from all three federally recognized Cherokee tribes and the Muscogee (Creek) Nation gathered at New Echota Historic Site for the first Cherokee homecoming celebration. In 1825, New Echota was the Cherokee nation’s capital and where the “Trail of Tears” officially began. Today’s visitors can see the print shop, court house, missionary home and more. Nearby is Chief Vann House Historic Site, the 1804 home of two Cherokee leaders. Extend the last hurrah-to-summer holiday with a discount on accommodations inside Georgia’s State Parks. 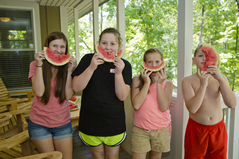 Save 50% on camping and 40% on cottages and yurts, Monday night through Thursday night (September 3 – 6). Use promo code LAB18 when booking your getaway. 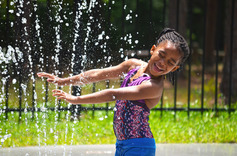 Find participating parks and more summer deals on GaStateParks.org. Giddyup! More than 12 miles of horse trails are now open at Don Carter State Park, sitting on the northern end of Lake Lanier. The system is made up of four main loops, several connector trails and even views of the sparkling lake. Before heading out on trails, riders must show current Coggins paperwork at the park office. At this time, stables are not available. Call 678-450-7726 to learn more. Find more hikes, paddling trips, nature programs, tours and more online.